Hape's Walk-A-Long Snail Toddler Wooden Pull Toy is the perfect companion for little ones just beginning to learn about sorting colors and shapes. This multi-tasking snail tows a shell full of wooden blocks as he tags along behind you, waving his tail. Kids ages 12 months to kids of 5 years can lighten the load by removing the colorful shape sorter, and getting him ready to roll alone. 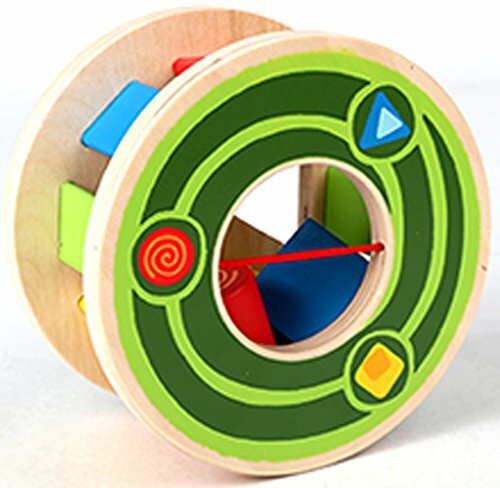 The push-pull toy has three differently shaped holes (triangle, circle, and square). The opposite side features an elastic-banded opening for easy yet secure access to the inside the snail’s shell. The Walk-A-Along Snail encourages movement and problem-solving. 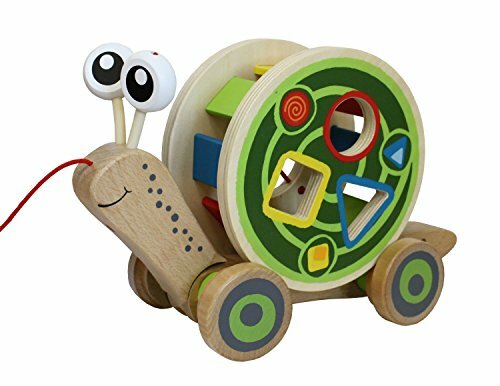 The wooden push toy encourages children to develop fine motor skills and play actively as they take their new snail friend on adventures around the house. The shape sort toys help your little one develop color and shape recognition as they try to full up the snail’s shell. The push pull toy is made from sturdy and durable wood sourced from environmentally sustainable forests. This snail toy is finished with non-toxic water paint, decorated with bright colors and shapes for your child to enjoy. 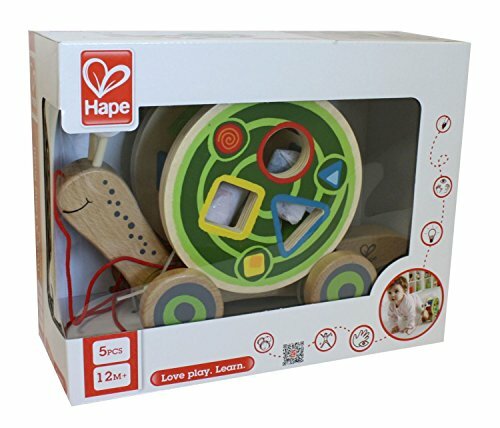 Hape toys stimulate children through every stage of development and help nurture and develop their natural abilities. All Hape products sold in North America meet or exceed all applicable safety standards.